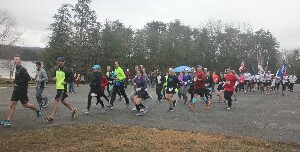 Ninety-three participants braved threatening weather to participate in the third annual running of the Osprey 10K/5K Run/Walk held by the Friends of Smith Mountain Lake State Park to coincide with the return of the osprey to their nest in April. 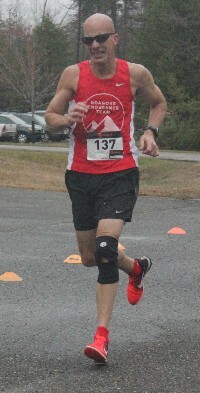 The rain, wind and decreasing temperature did not arrive, and the runners said conditions were ideal for the race. The funds raised will go to the park to support programs and activities and its mission of environmental stewardship and education.